On the fifth floor of a building in Mae Sot, Thailand, King Zero welcomes young visitors. Like him, they come from Burma. Dressed only in a saffron robe, he fulfils one of his duties as a Buddhist monk: the transmission of the Dharma, the teachings of Buddha. He recites some traditional prayers and gives blessings to the young. They kneel before him three times. 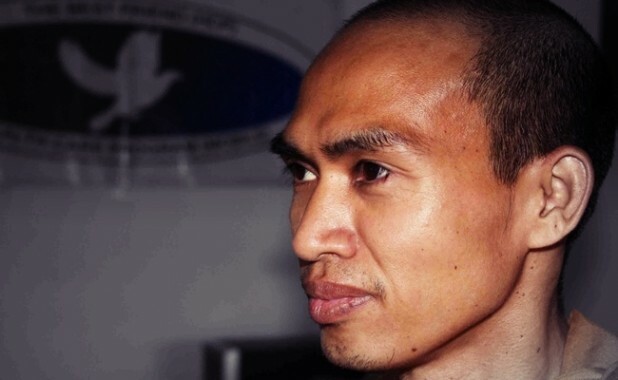 They may not know, but this thin, small man is on the Burmese government’s list of most wanted persons. In September 2007, panic seized the junta that had been ruling Burma since 1962. Without weapons, without violence, Buddhist monks took to the streets, dragging with them thousands of students and citizens in the largest popular movement since the 1988 protests. 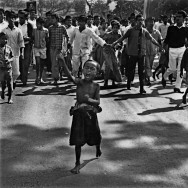 In its 50-year history, the regime had faced guerrillas of all kinds, and dealt with popular uprisings including the challenge of opposition leader Aung San Suu Kyi. This time, it was different. In few other countries is the veneration of Buddhist monks as significant. In Burma, a country of 50 million, the clergy is 400,000 strong. The protests, when they happened, were suppressed with bloodshed. Some of the leaders were arrested. King Zero, meanwhile, managed to escape. A monk and an activist, King Zero takes on both roles. To him, religion and political struggle are two sides of the same coin. Opposing the discourse that sees Buddhism as a source of passivity, King Zero defends its progressive dimension: ‘Buddha said that the present time is very important.’ Following this idea, King Zero decided to create a network of libraries, the Best Friend’s Library, to train and encourage young people to think critically. Among other activities, he organised workshops to teach people to confront their ideas. To King Zero, debates are ‘the basic tool of democracy’. At the same time, he expanded his political activity, writing under the name of King Zero. ‘“King” because I want to be a leader for the people – of course, not a traditional monarch, but a leader that can be criticised, following Buddha’s teaching. “Zero” because I need to learn a lot and act more and more,’ he explains. One of his main tasks consisted of informing young monks of the political situation in Burma. ‘At that time, the novices were only focused on learning Pali, the holy language of Buddhism, and they didn’t have the opportunity to read books on other subjects,’ King Zero says. He became one of the leaders of the Sangha Union in Mandalay, the Burmese monks’ alliance. In August 2007, the government decided to double the price of gasoline and natural gas, triggering a series of protests. Initially, none of these seriously threatened the regime. But the violent suppression of a demonstration by monks in the town of Pakokku opened the door to an escalation of the popular movement. ‘We gave [the government] an ultimatum to apologise,’ King Zero says. But the government did not respond in kind. For months, King Zero had been working with other monks to revive political opposition among Burma’s religious ranks. In the early months of 2007, he had gone to Bangkok and New Delhi to meet with opposition leaders in exile. He came back from these trips with lots of books. ‘My friends warned me of the danger and told me I could go to jail, but I noticed that more and more monks were interested,’ he recalls. 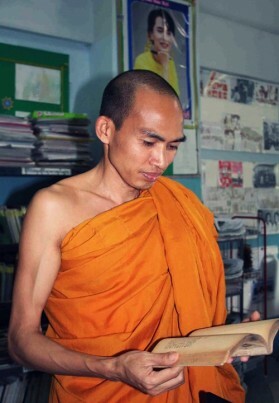 Together with his colleagues, King Zero began secretly handing out political pamphlets – he often hid them in his alms bowl – which defined the monks’ nonviolent strategy and their commitment to a peaceful transition away from the military regime. Stickers with images of a stop sign, a symbol of the new resistance movement, began to be seen on the streets of Rangoon. On 17 September, the ultimatum expired. As announced, King Zero and his companions called on all the country’s monks to take to the streets of Rangoon. The protesters were summoned to the Shwedagon pagoda, which is the most sacred of Burmese Buddhist shrines. Located on a hilltop, the Shwedagon is visible from practically anywhere in Rangoon. It also has a political connotation. There, 19 years ago, Aung San Suu Kyi spoke to a crowd of a million people. That speech was part of the protests of 1988 that, for two months, had threatened to topple the dictatorship, and did succeed in overthrowing Gen Ne Win. Military repression on that occasion caused over 3000 deaths. Supposedly, the government had then initiated a process of democratisation, but the subsequent victory of Suu Kyi’s National League for Democracy (NLD) ended the junta’s political openness. May all be well and secure, may all beings be happy! Whatever living creatures there be – without exception, long, huge or middle-sized, or short, minute or bulky, whether visible or invisible, and those living far or near, the born or those seeking birth – may all be happy. There were also protests in front of major pagodas in other towns. The Saffron Revolution was born – though under a misleading name because, unlike in other many other Buddhist countries, the robes of Burmese monks are burgundy. On 22 September, the monks got close to Suu Kyi’s house, who at that time was under house arrest. The Lady was permitted out of the house and could not hold back her tears. In the following days, groups of students and citizens joined the protests. Thousands of people surrounded the monks to protect them. Seeing the movement’s growth, the government decided to stop it. On 26 September, soldiers blocked access roads to the Shwedagon pagoda, dividing the demonstrators into three groups. They ordered people to disperse. ‘I would say, “Sit down, do not leave,”’ King Zero recalls. But most of the monks obeyed the army. Those who stayed became victims of the first charges. At night, soldiers entered the monasteries to find the leaders of the movement. They arrested and tortured monks. They told the superiors to send novices back to their villages. The following day, the protests continued, and so did the repression. Witnesses spoke of violence inflicted upon both civilians and monks. The government’s response achieved its goal: as of 30 September, the streets of Rangoon had returned to normal. But for the demonstrators, the costs had been high: between 80 and 140 people had died, and anywhere from 2000 to 6000 had been detained. On the night of 28 September, King Zero’s brother came to visit him and told him he should hide. King Zero obeyed. Twice, he went to hide in Mandalay, about eight hours away by vehicle. He also secretly visited his family. The police found out and, he says, arrested and tortured some of his relatives. Meanwhile, King Zero kept changing places, hiding as best he could. Thanks to his contacts outside Burma, he distributed food and clothes to the victims of Cyclone Nargis in May 2008. There were about 128,000 dead according to the Red Cross and 2.5 million people had been affected. ‘The military regime did almost nothing to help them’, King Zero asserts. 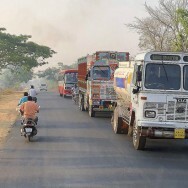 During the disaster, several organisations, including the UN, reported that the Burmese authorities had hindered their work. ‘Everything had to go through the military, and they kept most of the donations’, King Zero accuses. One day, his brother urged him to leave the country, arguing that he could be sentenced to many years in jail. So, King Zero fled, dressed in layman’s clothes. ‘They were uncomfortable, because I was not used to them anymore,’ he says with laughter. On 21 October 2008, he arrived in Mae Sot. This medium-sized town is a subtle blend of Thailand and Burma – the border is less than 10 km away. In this town, the Thai king’s portraits decorate the streets, in accordance with the law, but posters of the Lady, Suu Kyi, are also often seen in the numerous immigrants’ shops. Street-food stalls selling the famous pad thai coexist with Burmese coffee shops. In the market, women with thanaka make-up – a powder typical of Burma – outnumber native Thais. Mae Sot is home to thousands of Burmese fleeing poverty and oppression. No wonder it has been given the nickname ‘Little Burma’. 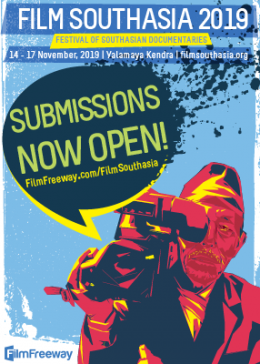 Over the past year, following the seating of a new government in January 2011, Burma has undertaken a number of ostensibly democratic reforms, including guaranteeing the people’s right to demonstrate and to strike. The government has reduced press censorship, and has also legalised the NLD, allowing the Lady to stand for parliamentary by-elections on 1 April. Over the course of the past year, some 2000 prisoners have been released, including hundreds of notable political prisoners. There is a lot more to do, though, as Burmese jails continue to hold about 900 prisoners of conscience: students, journalists, members of the NLD, ethnic minorities, and also hundreds of monks, according to the Association of Assistance for Political Prisoners. ‘You have to keep fighting, and in two ways: publicly and underground,’ King Zero says. ‘But now I cannot go [back], because if they arrest me I won’t be able to work for my country.’ So, from his new home in Mae Sot, King Zero continues the struggle. He supports young Burmese seeking education, and he helps families who have no choice but to live in garbage dumps. Though a political activist, King Zero has never stopped being a monk. He conveys the message of Buddha through his talks in factories and schools, during which he receives gifts from the faithful, eager to get good karma. And when night falls, he enters his room and meditates before going to bed. When he closes his eyes, he may be thinking of the restless and insomniac little Ashin. But now, religion and social struggle have helped him find inner peace: ‘The life of laymen is full of suffering,’ he says. ‘I like the life of a monk; it is quieter and I’m happy.’ Only sometimes is his sleep troubled.